The Role of Fathers - Something New Everyday! Those men who become fathers take on a huge responsibility​​ to set their children on the path to a successful, well-balanced life. 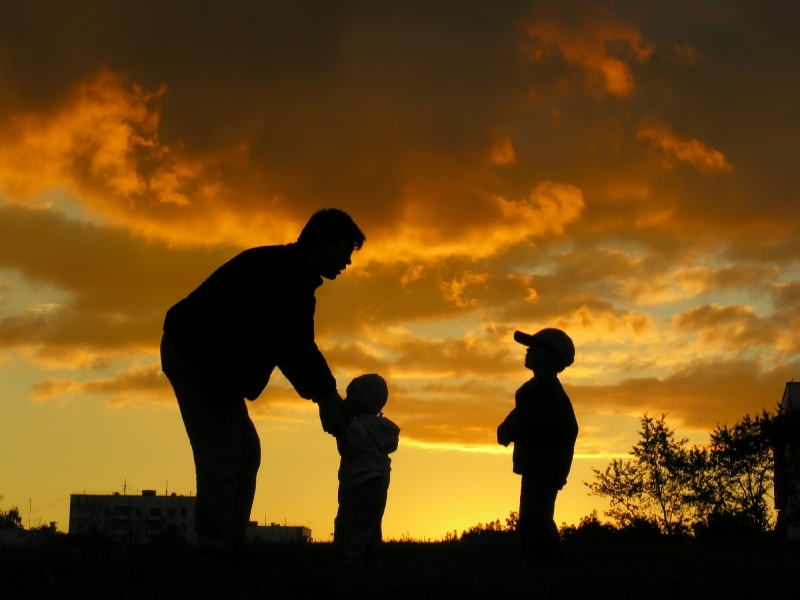 Fathers often have far more of an effect on their children than they will ever truly realize. They face the challenge of teaching good character and values to their children through modeling the traits of fatherly love, kindness, firmness, and forgiveness, and living the principles that they teach, from honesty to hard work. Fathers have a responsibility to help their children learn work ethic, responsibility, initiative, and everything that they may need for whatever career path their children may pursue. A father provides the first role model for their sons of how to treat a woman, how to provide for one's family, how to be a good leader and communicator. They are also the first example to their daughters of a man who protects them, who gives them good advice and a listening ear, which gives them confidence and teaches them to respect themselves and others. And one of the greatest gifts they can give is like the quote says, believing in their children. It's not easy to be a dad !!! - Are You An Explosive Personality or the Implosive One? - How To Develop Good Habits and Get Rid of Bad Ones?